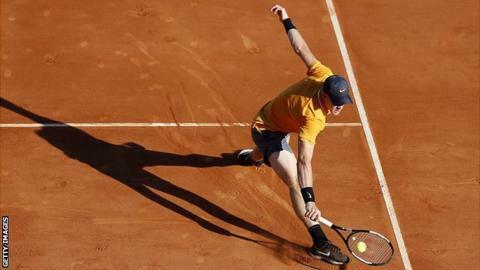 World number 23 Edmund led Argentina's Schwartzman by a set and 3-0 but ultimately lost 4-6 6-3 6-1. The two will face one another again in the men's doubles on Tuesday. Edmund and compatriot Neil Skupski are scheduled to play Schwartzman and Joao Sousa of Portugal from 14:00 BST. Rafael Nadal begins his title defence on Wednesday against fellow Spaniard Roberto Bautista Agut. The match will be Nadal's first in over a month after he injured his knee at Indian Wells in March.